The Garage Door Centre has recently expanded the product range to include the supply and installation of high quality, aluminium Car Ports. 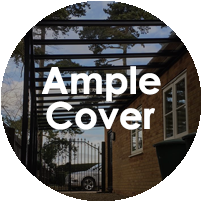 Take a look at any of the aluminium car ports we supply and you will see a precisely engineered, high quality car port which offers more than enough protection from the UK elements. All the car ports are made to measure for a perfect fit, however, we can supply standard sizes in kit form for DIY installation. 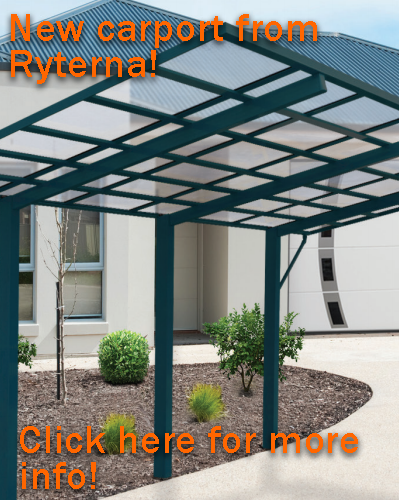 The quality of the components is far higher than any other product on the market and truly offers a very practical and attractive covered area for use almost anywhere around the home and garden. Rainwater guttering is standard in all the models we supply, external or integrated into the front profile. The rainwater can be directed onto the existing ground surface, into a soakaway or a very popular method is directly into one or more water butts for use in the garden, etc. 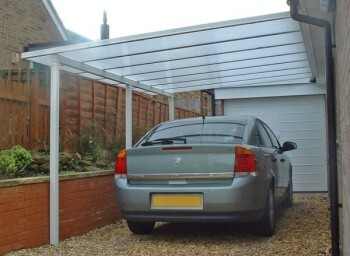 A car port is not only restricted to offering unrivalled protection against all weather conditions on the driveway at home. Thanks to its large extension sizes and the ability to couple together with other units, a car port is also a fantastic addition into the workplace; whether it’s an office car park, factory parking or even just a smoking shelter or offering protection over a walkway, the multi-purpose car port is ideal for a variety of different applications. When measuring for a car port, please note that the width is the size of the structure which will be attached to the already existing structure. The depth is the measurement of how far the car port will reach from the already existing structure. 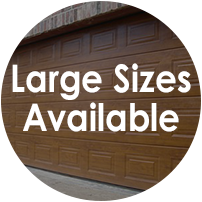 Car Ports from The Garage Door Centre are ordered in purpose made sizes to meet almost any needs. 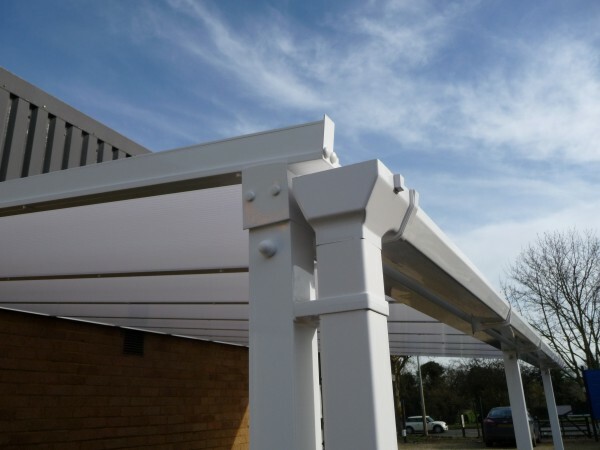 The height and pitch of the roof angle can be specified to suit the application and the vertical support legs can be cantilevered in at each corner by up to 500mm between 4000 and 5000mm wide. A car port can easily blend into the appearance of your home and often improve it if the colour choice is carefully chosen. Colours are applied to the structure using a powder coat finish which provides a durable layer of colour. The colours are available in both a standard and metallic finish to allow you to fully personalise your car port and achieve that perfect look. Colours are applied to all components of the structure excluding the roof panels. If these colours don't quite take your fancy, we offer the entire selection of RAL colours available at an extra charge and subject to suitability. Roof panels are the second most important element of your car port shelter structure after the powder coat colour choice. Drainage is achieved thanks to a fully flush built-in guttering system. 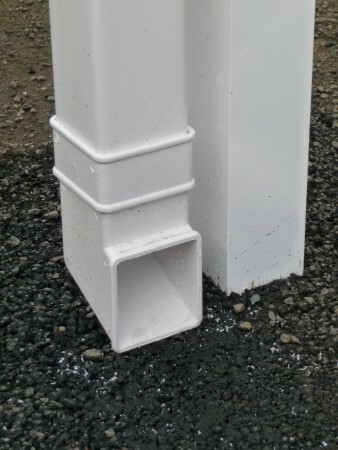 This consists of various guttering tubes and rainwater drainage pipes built into the support legs to assist in the movement of loose water and ensures it is disposed of in a conforming manner. 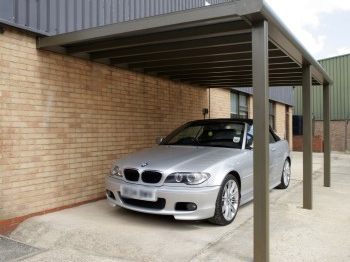 We offer a range of optional extras to add those personal finishing touches to your car port. Lighting can be added through the use of a light bar. 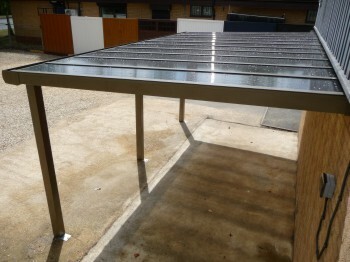 This bar can be fitted to either the front profile or the wall-supported profile to offer a warming level of light as you get out of the car after a long day. Heating elements can be provided by installing either a 13kw or 15kw infrared electric heater. This heater can be installed on the wall-supported profile however heating is less effective this way; if installing a heating element, we recommend installing the unit onto the front profile offering directional heat back towards your home so that as much heat as possible is retained. 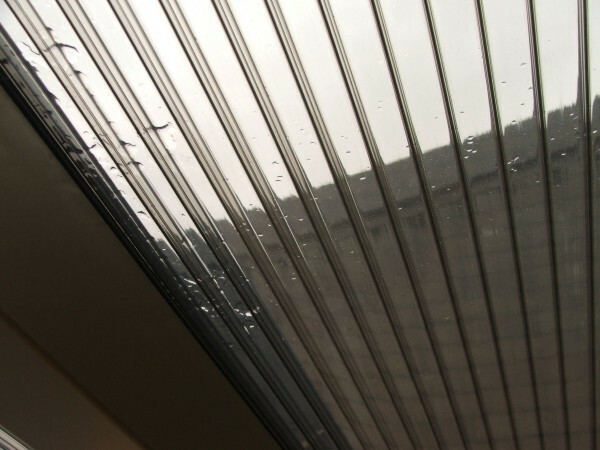 Awnings can be installed both over and underneath the roof panels to block out any sunlight penetrating the roof. 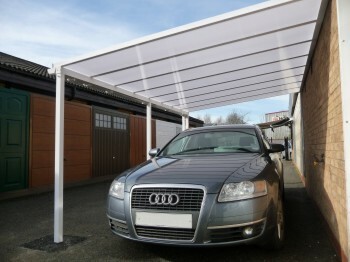 This allows for additional shading on summer days and prevents the heat under the car port from reaching uncomfortable levels. 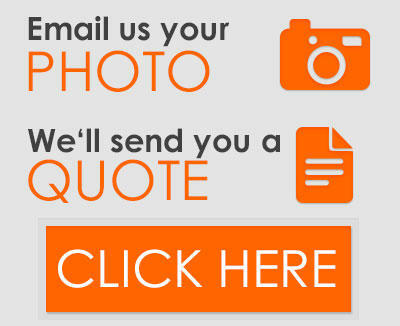 We recommend awnings from the Markilux Conservatory Awnings range for this as they are specified for similar use. 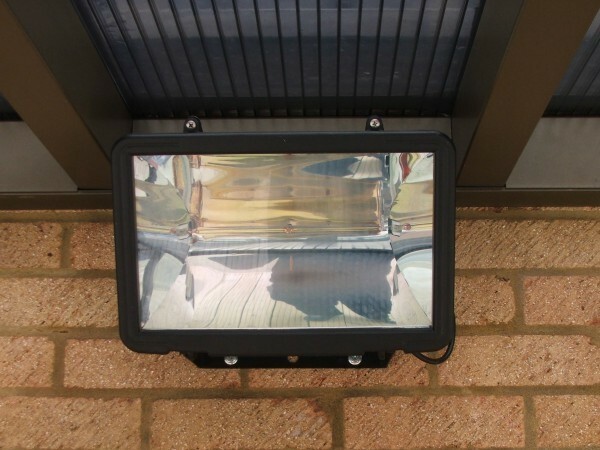 Side Screens are available in a whole variety of side and front mounted side screens and electric blinds to further enclose the sections if required. 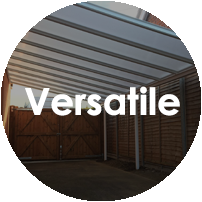 The whole car port system has a 5 year guarantee and is water and wind load tested to very high levels giving you total peace of mind that it will cope with our very changeable UK weather.